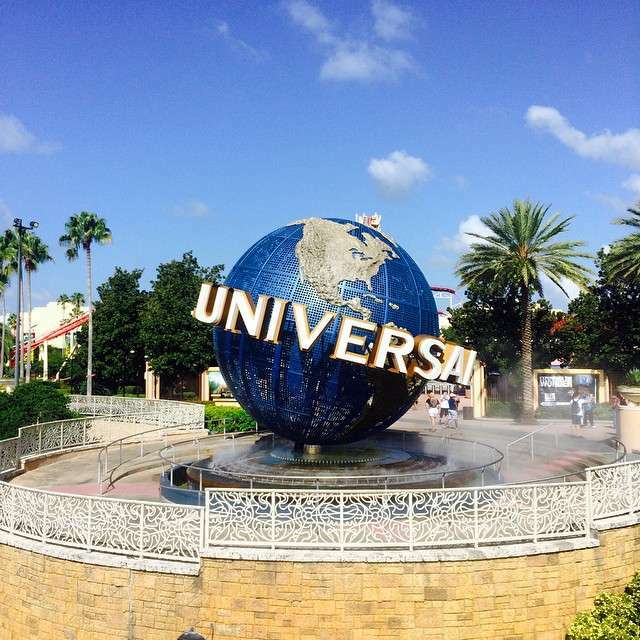 Universal Orlando Resort has some amazing experiences! From thrilling coasters to delicious restaurants, Universal Orlando has something for everyone. With so much to offer, what attractions should you choose as must-do’s? We thought we’d share some of our favorite attractions throughout the resort to help you decide! Universal Orlando Resort is comprised of Citywalk, Universal Studios, Islands of Adventure. Citywalk, which is currently completing the last phase of its revisions & expansions, is where guests will find lots of restaurant options, a couple of mini-golf courses, a huge movie complex, shopping, & nightlife. At Universal Studios guests can become a part of the best of movies & TV by experiencing attractions such as Transformers: The Ride 3-D, The Simpsons Ride, E.T. Adventure, The Blues Brothers Show, &, of course, Harry Potter & the Escape from Gringott’s. Islands of Adventure brings out the thrill seeker in us all with attractions such as The Amazing Adventures of Spider-Man, Jurassic Park River Adventure, Flight of the Hippogriff, Caro-Seuss-el, & Dudley Do-Right’s Rip Saw Falls. So what’s the best? Here’s 5 of our favorites! Harry Potter & The Forbidden Journey – This attraction can be found at Islands of Adventure inside Hogwarts castle. Guests must be 48′ to ride. Before we even discuss the actual ride, we have to mention that the standby queue of one of the best! Guests will see iconic images straight out of the movies inside the castle- a gargoyle guarded, spiral staircase leading to Professor Dumbledore’s office; inside Dumbledore’s office; a hall of talking portraits; the sorting hat & more – all before even loading for the attraction! Once on the ride, guests will come face-to-face with magical creatures, perhaps a little too close for some! While riding in your enchanted bench, a dragon chases you around the castle & grounds. You also will have to escape the Whomping Willow, giant spiders, & dementors. It is an intense ride which I find thrilling & completely immersive. The Incredible Hulk Coaster – This attraction can be found at Islands of Adventure just to the left of the entrance. Guests must be 54″ to ride. As you walk around the coaster to get to the queue entrance, you hear the screams of the riders & become aware of how fast & scary the coaster is. For some, second thoughts abound. For others, a great anticipation of what’s to come builds. Once loaded, be sure your head is back & you are ready because this ride begins with a trip from zero to 40 mph in 2 seconds flat!! With a weightless “zero g” roll, top speeds of 67 mph, & 7 (!) inversions, this coaster is not for the faint of heart! It is a non-stop adrenaline rush from the moment of loading to the moment it stops. And that’s why we love it! The fact that we get to say “Hulk smash!” is just added fun. Revenge of the Mummy – This attraction can be found at Universal Studios at the end of the street of the main entrance & then to the right. Guests must be 48′ to ride. The curse is real, my friends! The moment you step inside the queue, you are transported to a pyramid in ancient Egypt. From the spooky music to the weird lighting & warning signs to turn around, a mysterious sense of foreboding builds. Once the ride begins, Imotep tells us we are all cursed & scares us with walls of fire & immortal mummy warriors. Of course, a coaster completely in the dark reaching speeds of 45 mph might have a little to do with us being scared! Did I mention the fire? Being fascinated with ancient Egypt, I love these movies. Add in a thrilling dark coaster & I am hooked! Remember, death is only the beginning…..
Despicable Me Minion Mayhem – This attraction can be found at Universal Studios just beyond the entrance. Guests must be 40″ to ride. Guests are all recruited by Gru to help on his last mission & are made minions in the process. After you grab a seat & put on your 3-D glasses, be prepared for your seat to move along with the movie! Within moments of completing minion training, antics & errors abound. You’ll take a zany, funny trip though Gru’s supervillain lab with lots of surprises along the way. And the best part? The minions are waiting for you at the exit so that the dance party can begin. Show off your moves, get some great pics with the minions, & have some great family fun! Tell them you have a banana & hilarity will ensue. Men in Black Alien Attack – This attraction can be found at Universal Studios between Diagon Alley & the Simpsons area. Guests must be 42″ to ride. You’ve just been recruited to join the Men in Black ranks & help protect Earth from the aliens. Training is interrupted, however, & you are called into action to help zap all the aliens! The queue takes you through the secret headquarters where you will see the control center, the weapons armory, & more! Then board your vehicle & pick up that zapper because you’re about to save the world!! Be careful because they shoot back & send your vehicle spinning. Do your best to get a great score so that you can be promoted to full agent or just get bragging rights that you beat dad! Personally, I love shooting type rides & this one is so much fun. Shoot the aliens that are far away or hidden for more points. You can get 100,000 bonus points if you are the first to push that red button. Be sure you wait until you’re instructed to push it! An honorable mention must be given to The Wizarding World of Harry Potter Diagon Alley which is located in Universal Studios! While not an attraction but, rather, a section of the park, this area is completely & totally amazing!! Once you make your way through the brick wall in London, you are in Diagon Alley. And you will truly feel as if you are actually in a real place. From the design of the buildings to the fire-breathing dragon atop Gringott’s Bank, guests are completely immsersed into the wizarding world. You are not only able to practice your wand skills but can also buy everything from wizard robes to quidditch supplies to butterbeer ice cream. The attraction in this area, Harry Potter & the Escape from Gringotts, is pretty awesome as well. It can be described as a high speed ride with 3-D scenes. Harry Potter fans will truly enjoy it! And those who don’t know Harry Potter will wander around the area with amazement.